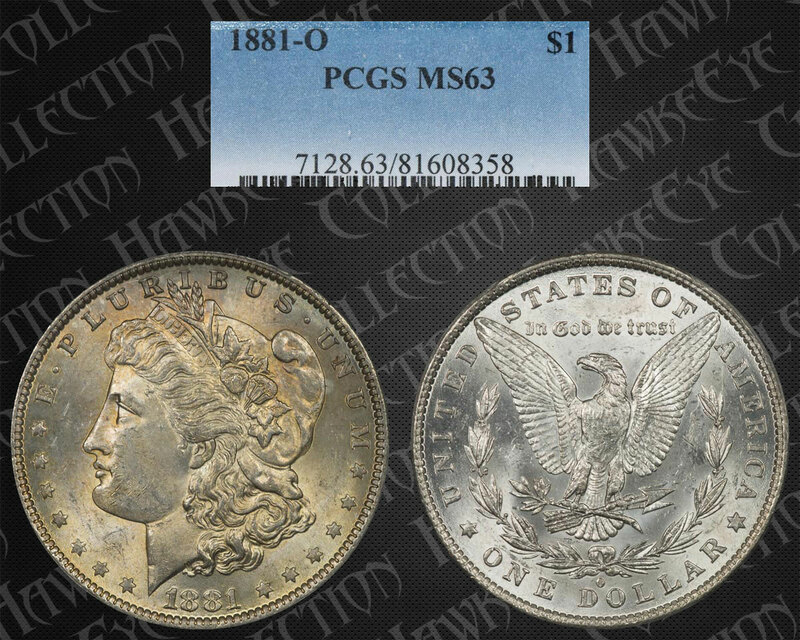 Comments: We certainly have no argument with the grade on this coin. The heave bag marks close to and under the corner of the mouth pretty well nail the grade and limit any higher evaluation. When you drop the color out of the coin the abrasions become even more clear. 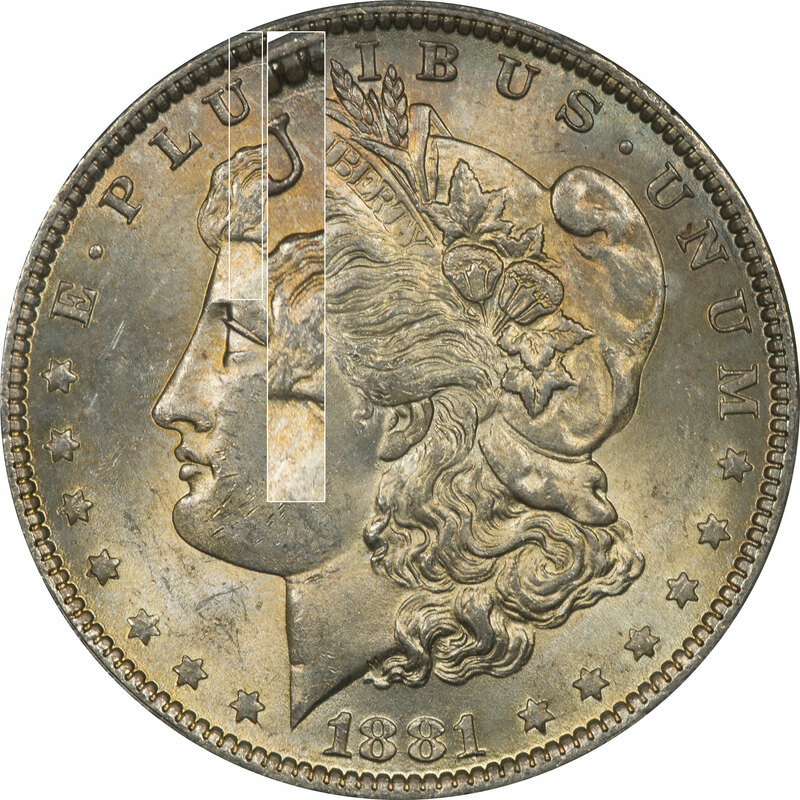 To us the reverse is cleaner but will not carry the coin to a higher grade. The VAM indicators are also easily read on this coin with the date doubling and mint mark offset. We did include the coin in the toned collection, but it was borderline. The consistency of the color gives a little to be learned, but not much. This one is difficult to determine because it could be anything except bag toned. So the coin was placed somewhere in storage and left where it interacted with a substance that just started the color. This is very early cycle one color and almost monochromatic. 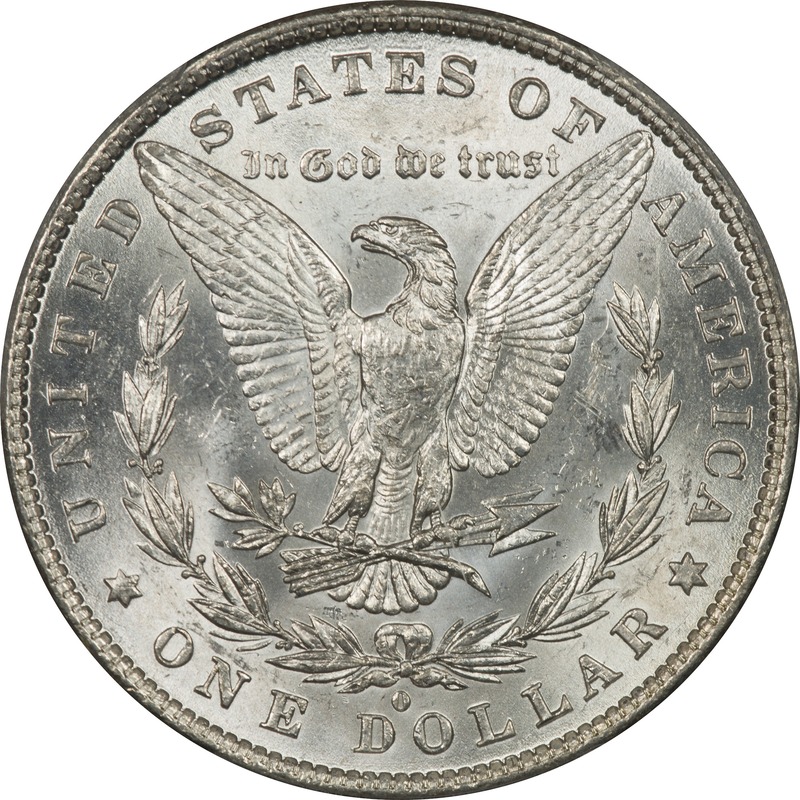 So the source of the reaction was evenly spread over the obverse.